A rubber cone washer to fit 1.1/2 inch compression fittings on bath and kitchen sink waste pipe compression fittings. 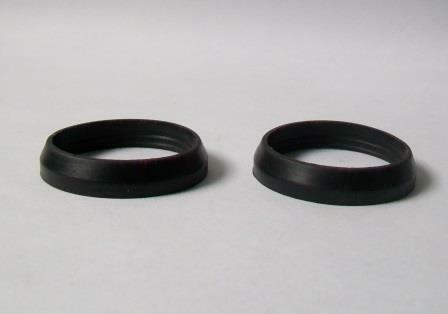 47mm outside diameter, 40mm hole. Can be stretched over pipe to seal in to the fitting.